have changed! I have now turned into my to my father's daughter. to my collection and I fear I may never take it off. Send reinforcements. I love mine and like to wear it with a black pencil skirt and heels. Your flared jeans are perfect! You looks so beautiful in denim, it really goes well with your figure ! the denim shirt.... only my favorite top ever! 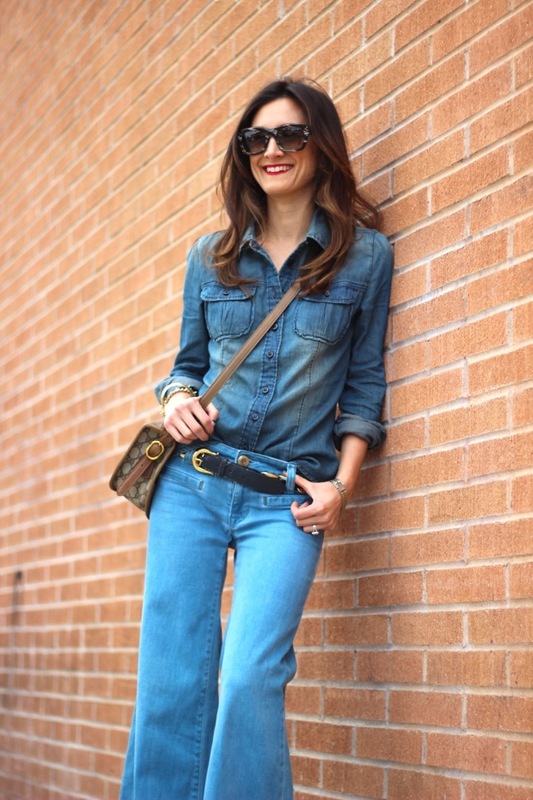 I love the way you paired yours with flared denim and a vintage bag. I may have to do that ASAP. Looking stellar young thang! 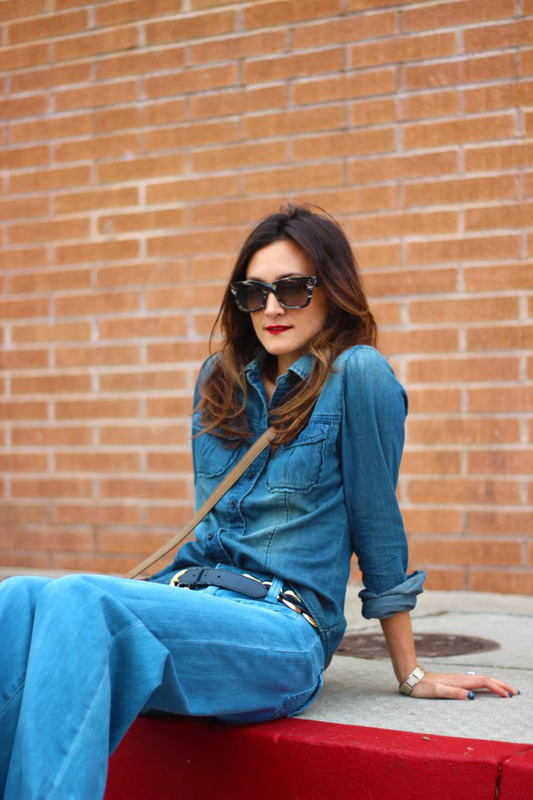 i plan on doing denim on denim tomorrow :o) - always killing it girl! Ooh that top is perfection!! 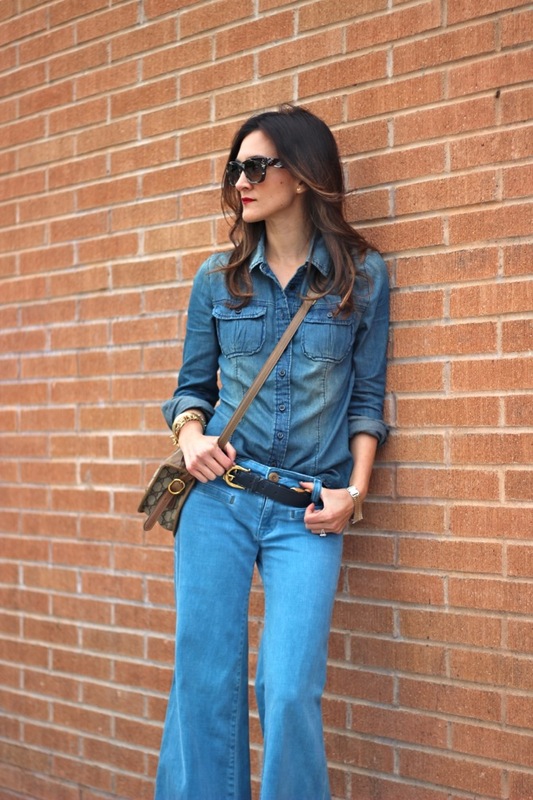 Ad I love this double denim look! Love the wide legged jeans! Perfection! oh man, this is hot. wore denim on denim just the other day lady! You look oober fashionable as always...love the vintage Gucci. you make this look so good lady!! 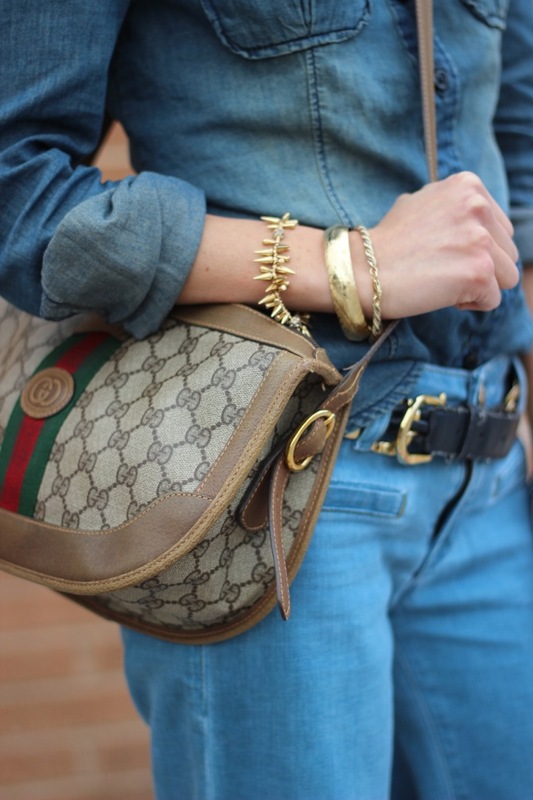 Vintage crossbody Gucci and flares is just what we needed this Friday morning. And denim forever! 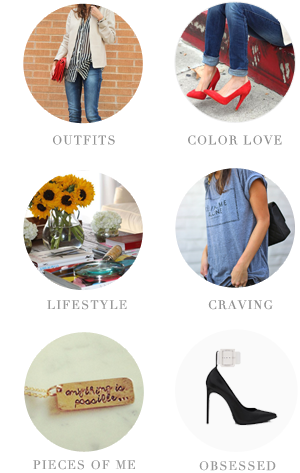 This makes me want to abandon skinnies for a moment! 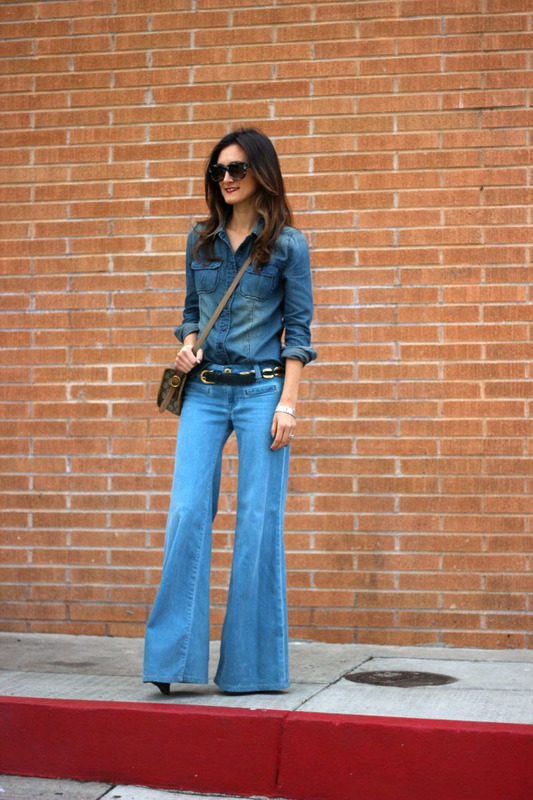 cute outfit--- love that the flared jeans are coming back! Love the whole outfit but where did you get the belt?!? It's fantastic!